Each backpack features matte black hard wear. Smooth faux leather coating, exotic print, and perfectly place ears..
More than enough room for you & your mini's favorite essentials like iPads, snacks, and accessories. 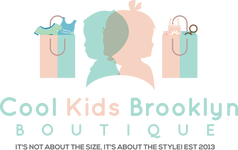 Coolkidsbklyn: backpacks are stylish, durable and constructed with multiple compartments for easy organization. Large front open pocket under pouch; side open pockets. Nylon/polyester lining; one zip pocket.